Facebook. The eight letter word that became a huge part of our lives, both public and private. The group founded by Mark Zuckerberg has now become so gigantic that we cannot imagine a person who doesn’t know about it. It is inviting millions of users to its base every day. Though many are foul crying it as a social game, the social networking site is gaining the ground every year. It even helps a lot for your professional upmanship. Below are some Facebook post templates for your use. This outrageously happy picture accentuates the colors of true life. Doesn’t it? If you have a travel blog, use this without any second thought. In fact, this is a good way to look for. How about this Business template to display your comments on your Facebook page. It is the latest exploit. If you are a future employer, download it and save it to your device for future purposes. 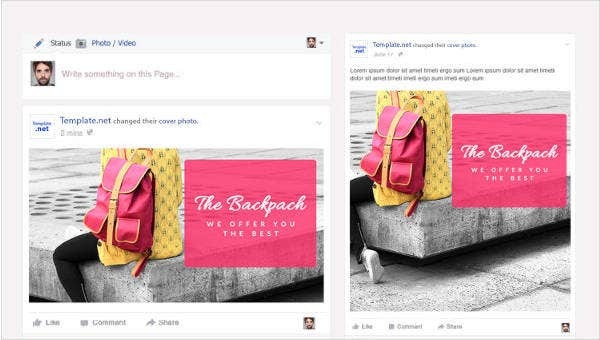 This Fashion Facebook post template is a great thing to make your fashion brand go visible on Facebook. You are having full access to this template to download it. 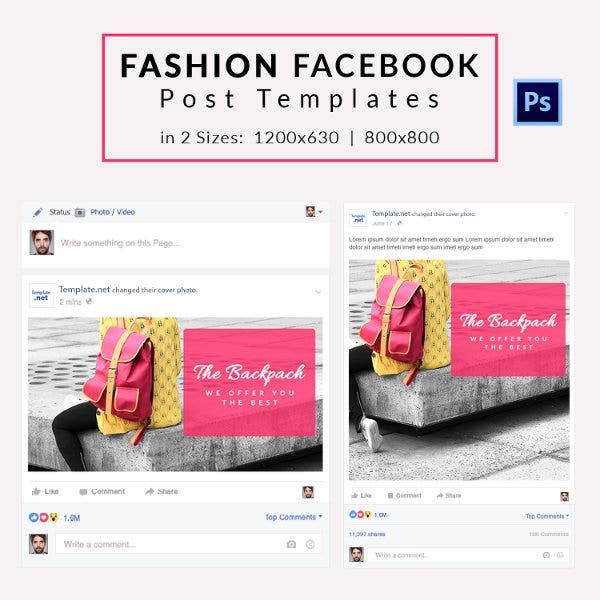 Professionalize your Facebook post with this Fashion Template. This highlights your personality in the social world. You can put some serious pictures as well. A post that represents and resembles you. How to attract visitors from your website to your social page so that they subscribe it, and thus keep them loyal? Use this for your lifestyle business and you will definitely get results. It’s an inarguable fact that Facebook is a great generator of traffic. This Lifestyle post template helps your customers spend some time on reading the post and acknowledging it through either the “Like” or “Share” button. Are you sharing your business content on your Facebook page? Then you should be more cautious about the skins of your Facebook post. 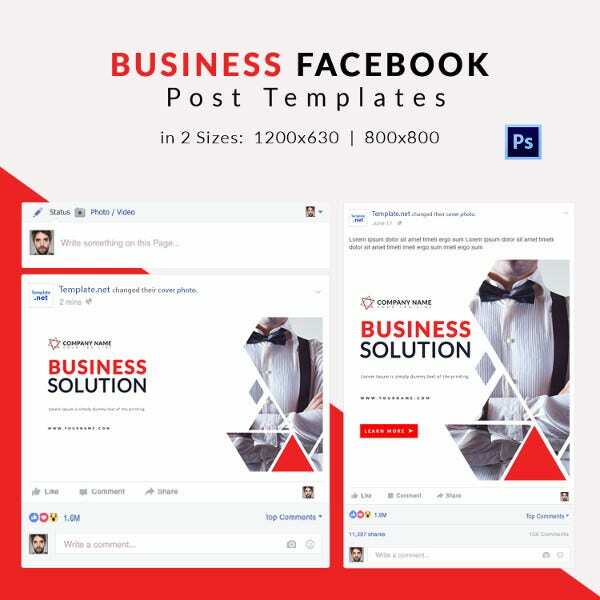 This Business Facebook template helps reappear your post several times on your fan’s pages. How to monetize your Facebook page? We know that social media is a generic name for external channels and this real-world example helps you in handling your multi-faceted business line. Facebook is undoubtedly the king of social networks and here is the new look for your next Facebook post. If it’s been long since you touched your Facebook account, this superimposes your image back. If you are not satisfied with the arrangement of your posts, here’s how to get them done. Each element can still be edited individually.You already know what information to put in the foreground. Let’s face it! For many of us, not a day goes by without checking what’s happening on Facebook. Because we are so “active”. Also, it’s a great podium for self-presentation. There are people who see Facebook as a dating site. Others use Facebook to keep in touch with relatives, friends, and colleagues. All said and done, it’s an undeniable fact that Facebook has witnessed a strong growth in business advertising. It promotes anything and everything from the most anticipating games to the much-awaited movies to the best and the worst gadgets of the year. There are an exponential number of categories in Facebook that help you grow both professionally and personally. The above templates offer you a great help in that regard. Facebook has a page for everyone. It does not matter if you are a large group, a local restaurant, a sports club, or a website – all of them get the same fan page, which differs only in the selection of the fields in the “info” area and some functions (eg address, ratings, services, etc.). This seems to be the end. Facebook rolls straight from the pages of templates. On some pages, they are already available. However, if you want templates for Facebook pages, they can be found by administrators in the ‘Settings’ section. There is already a template selected, click on “edit” and more templates are displayed. So far, the difference between the templates is mainly how the elements of the page are arranged. But now times are changing. If you are so fundamental, the above templates help you in a great manner.